When laundering cycling clothing, yoga pants, or virtually any stretch fabric active wear, it's recommended to use traditional hand washing or gentle machine washing. ASSOS Active Wear Cleanser is optimized for just that. 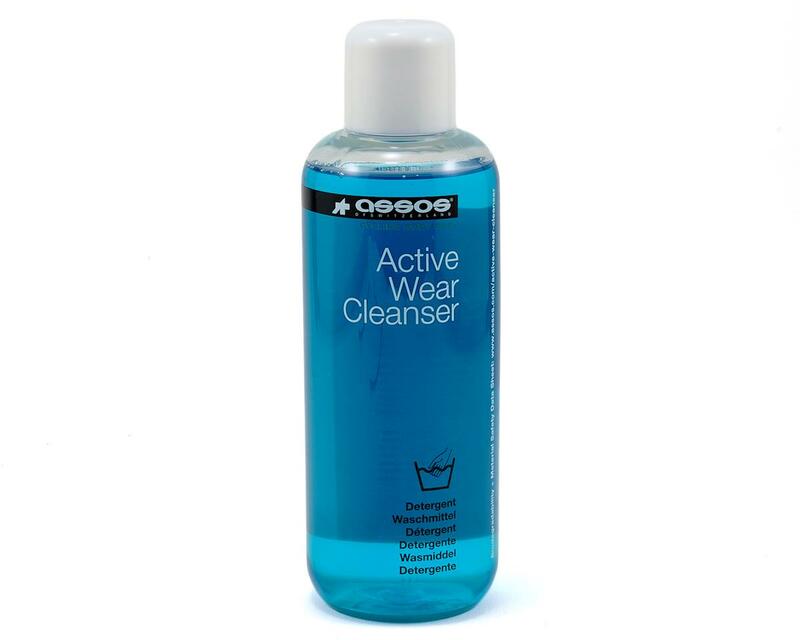 ASSOS Active Wear Cleanser is delicate on elastic fibers, pH neutral, neutralizes odors, enhances textile breathability and maintains sharp color sublimation.